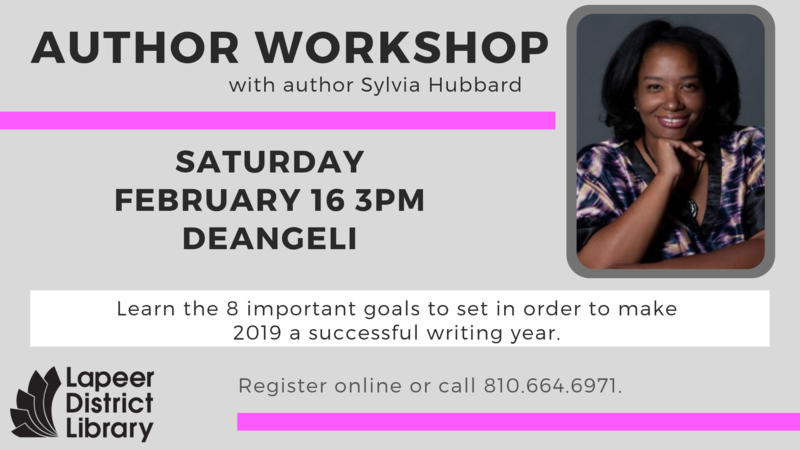 Published author Sylvia Hubbard will be teaching current and aspiring writers 8 important goals to set in order to make 2019 a successful year. She will also help attendees discover how to achieve these goals, increase writing, build your brand and increase book sales. Teens and adults are welcome to attend this 45-minute program with additional time for questions and answers. Please call the deAngeli Branch library at (810) 664-6971 to register or for additional information about this program.